#0317 – SQL Server – A confession – Why you should not work on multiple tasks when writing a deployment script? Delivery timelines and working till late in the evening – we have all been through these situations. This post is a true story – a confession about an incident that happened with me a couple of days ago. I was busy preparing a deployment script with a large number of stored procedures when I was distracted by a phone call reasonably late in the day. When I returned back to work, I made an error in the script that I was writing. What resulted afterwards was that the late evening turned into late night at work. As strange as it may seem, but when the error was caught, I simply laughed out loud at myself. Shown below is a quick demo of the mistake that I made. The script below creates two stored procedures – dbo.proc_Add2Numbers and dbo.proc_Multiply2Numbers. But there is something wrong. Once you have gone through the script, pause a while and see if you can figure out the error. Could not find stored procedure ‘dbo.proc_Multiply2Numbers’. So, I returned the database to it’s base state and repeated the process again – same error! It had already been way beyond my normal work hours and this error did it’s part to keep in the office for an hour more! A missing batch terminator – “GO”! –IMPORTANT: Notice the missing GO here! As you can see from the script results above, the batch terminator “GO” was missing between the two stored procedures in the deployment script because of which the script to check for the existence of dbo.proc_Multiple2Numbers was included in the definition of dbo.proc_Add2Numbers. When I ran the test for the first time, I executed dbo.proc_Multiply2Numbers first. When the dbo.proc_Add2Numbers was executed, it dropped the procedure dbo.proc_Multiply2Numbers which is why it was unavailable in round #2. Lessons Learnt: Do NOT multi-task! 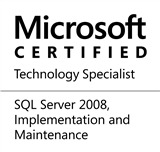 This entry was posted in #SQLServer, Blog, Imported from BeyondRelational and tagged #SQLServer on January 9, 2014 by nakulvachhrajani.